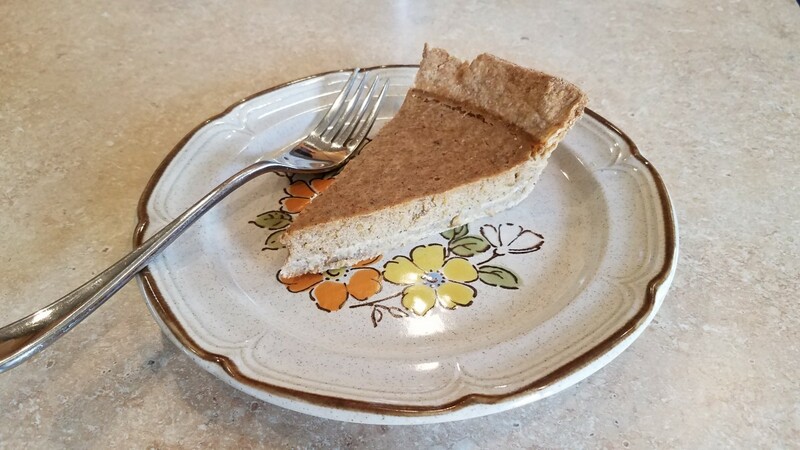 So I've been posting fall recipes for two months now, and have yet to post my clean eating pumpkin pie recipe. It's been so hard to choose what to make and post with all of my delicious recipes, but it seems like the right time now. However, it was hard to choose which crust to use. My almond pie crust is amazing, and it really gives a dessert an extra something special. It's soft but crunchy, flavorful and simple. It only takes a few minutes to pull together, but it's really crumbly and is sensitive in the oven. Then my whole wheat pie crust is also delicious. 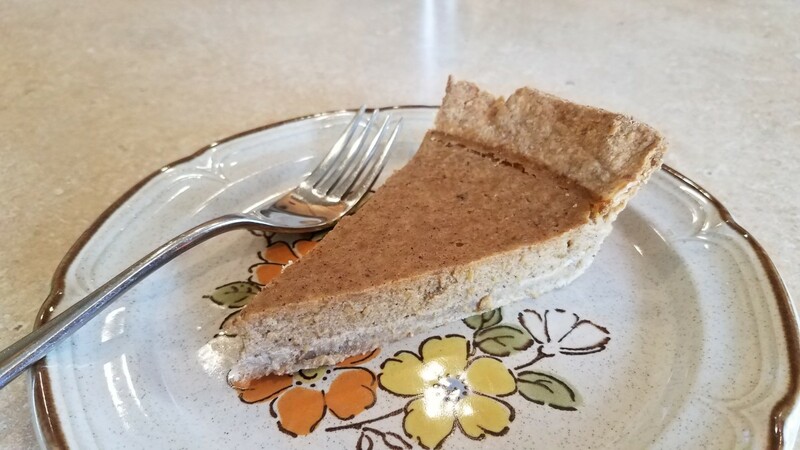 It's only three simple ingredients, it holds together really well for a heavier pie like this pumpkin recipe, and it's the more traditional choice for most people. However, it takes more work to pull together and roll out for each pie. It's a little finicky when you move it over to the pie pans and shape each crust, and it shrinks in the oven, though it stands up well to heat. Since both crusts had their merits, and we finished my first two rather quickly, I made two more a different way to show you each option. 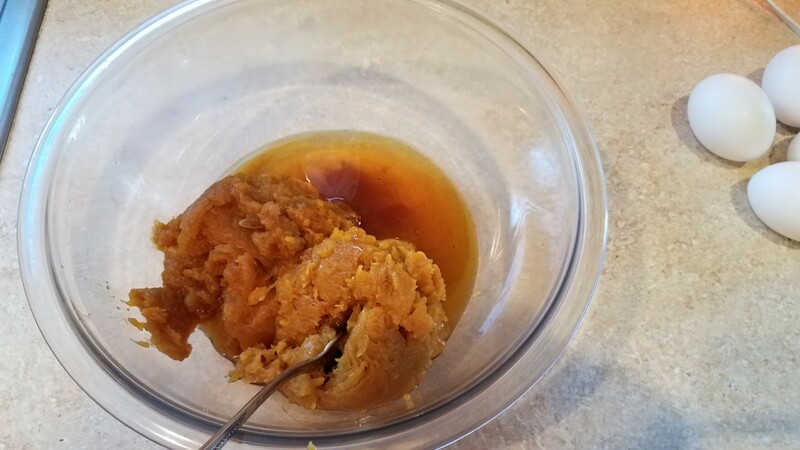 With Halloween approaching, and Thanksgiving following closely behind, I figured everyone needed a great pumpkin pie recipe! Now you have one and can make it your own. Let me show you how easy it was to pull together! Preheat your oven to 425 degrees F and grease two pie pans with a little bit of coconut oil. Go ahead and make your pie crusts. The first couple of pies I made, I used a simple almond pie crust using whole almonds and butter. The next couple of pies were made with flour crusts. Both came out delicious. I'll leave the recipes below. Add in one ingredient at a time, starting with your pumpkin puree. I can my own pumpkin every season in plain water. Then add in your honey, melted first so it mixes easily. Then add in your 4 eggs. Pour in your milk. I use organic whole milk to avoid as many chemicals, preservatives, sugar, and antibiotics as possible. 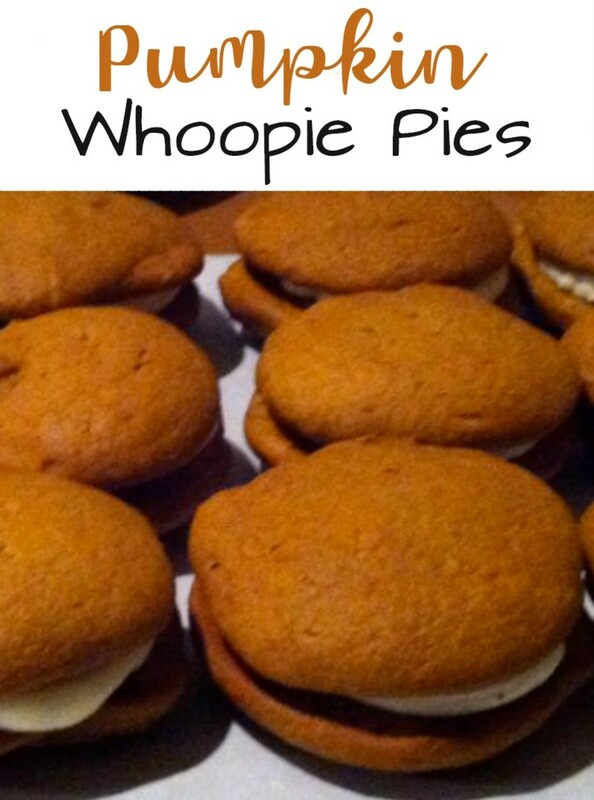 Finally add in your pumpkin pie spice. I mix my own spices, starting from homegrown or organic spices. 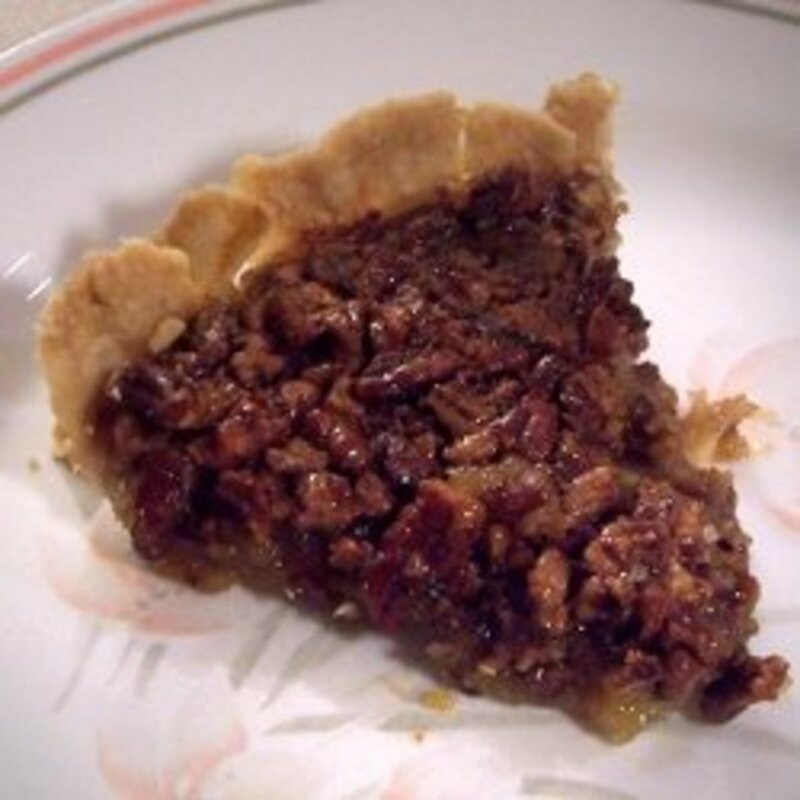 Mix everything together well and then pour into your prepared pie crusts. Bake at 425 degrees F for 15 minutes, and then lower your oven temperature to 350 degrees F and bake for another 45 minutes. 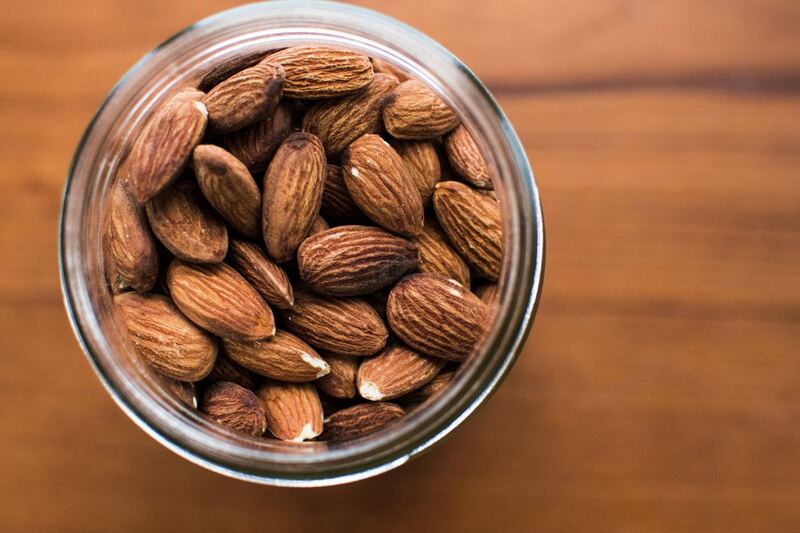 If you use an almond crust, you'll want to cover the edges of your crust with aluminum foil while baking. Add in your pumpkin puree. 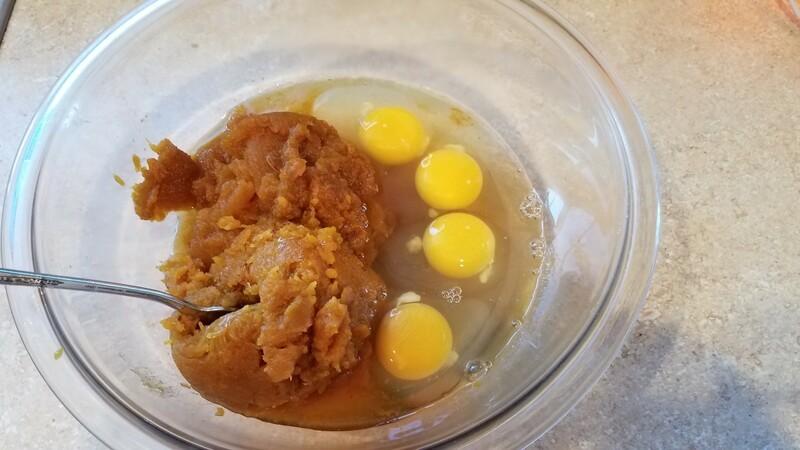 I can my own pumpkin every year, so I used my own pumpkin for this recipe. Then add your honey, after melting it first. Then your milk. I always use organic whole milk in my recipes. Finally, add in your spices and mix. I made these pies with an almond crust, and then again with a flour crust. Both were pretty delicious. This is one of those recipes that really benefits from homemade items, and they are so easy to do. As my big fall season wrap-up at the end of November, I normally go around and gather up all of the unwanted pumpkins from those that have said they were just throwing them away. I also have a host of individuals that just deliver them to my door, giving us a pleasant surprise every day. I cut them in half, roast them all, chop them into pieces and can them in water. 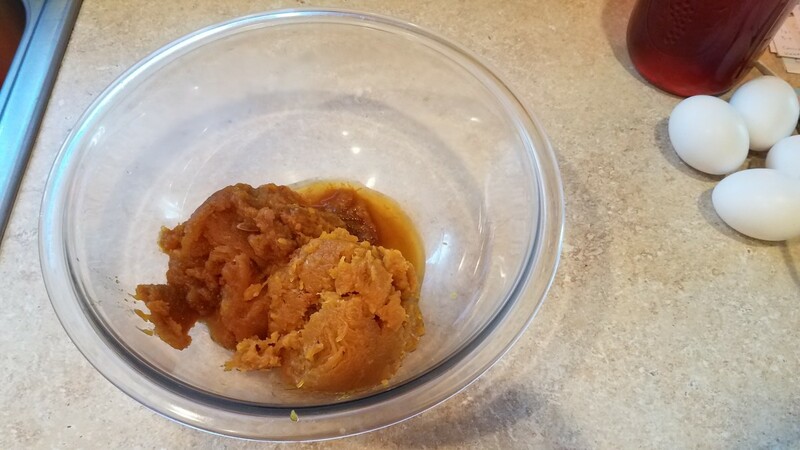 Not only does this give us a healthy pumpkin filling for all of the next year's fall dishes, but it feeds our family all year long for just the gas money it takes to gather them all up and the cost of jars. I don't have a published recipe for this right now, but I'll make sure to get one out this year as we are pulling out our Christmas decorations. I also make all of our own spice mixes from either homegrown spices, or those I've purchased from the store. Mixing my own ensures that there are no unnecessary chemicals, preservatives, salt or sugar in my spices. I have a number of spice mixes, including French onion soup, Italian and ranch dressing, taco seasoning, etc. But the one I use the most, especially at this time of year, is my Pumpkin Pie Spice. You're going to be surprised how easy these are to make for yourself. Now for the pie crusts! 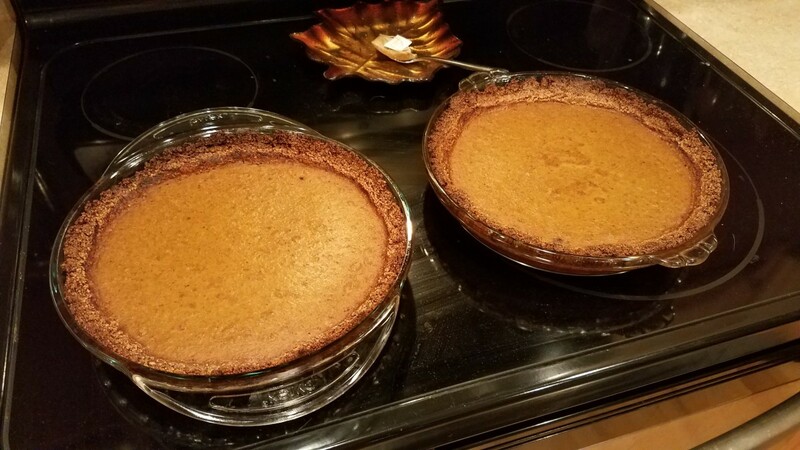 I made my first batch of pumpkin pies using my almond pie crust recipe simply because I was short on time and patience that day and my almond pie crust is super easy to make and delicious with any pie. The pies came out great but the almond crust burned a little on the top edge all the way around. Next time I just need to remember to cover the edges with some foil first. Pumpkin pies bake for a long time and the almond pie crust just can't handle it. If you were to use it for a cold pie or one that cooked for a shorter time, it would likely be fine. Preheat oven to 350 degrees F and grease a pie dish with some coconut oil. Combine dry ingredients in a food processor and mix until very fine. Pour into a bowl, add your melted butter and mix well. 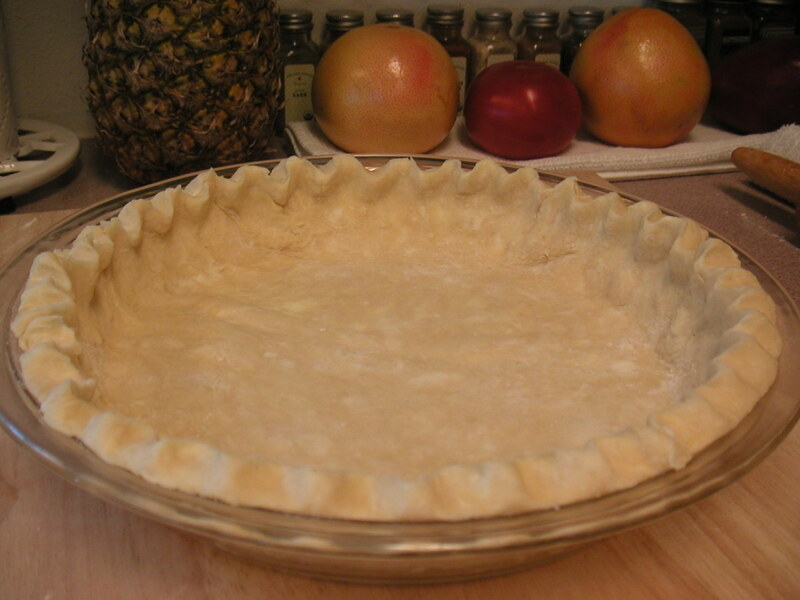 Press your mixture down evenly into your pie pan, and up the sides, with a piece of wax paper on top. Pour your pie filling in and bake according to pie directions. This can be refrigerated or frozen for later use if necessary by storing it in a storage bag. 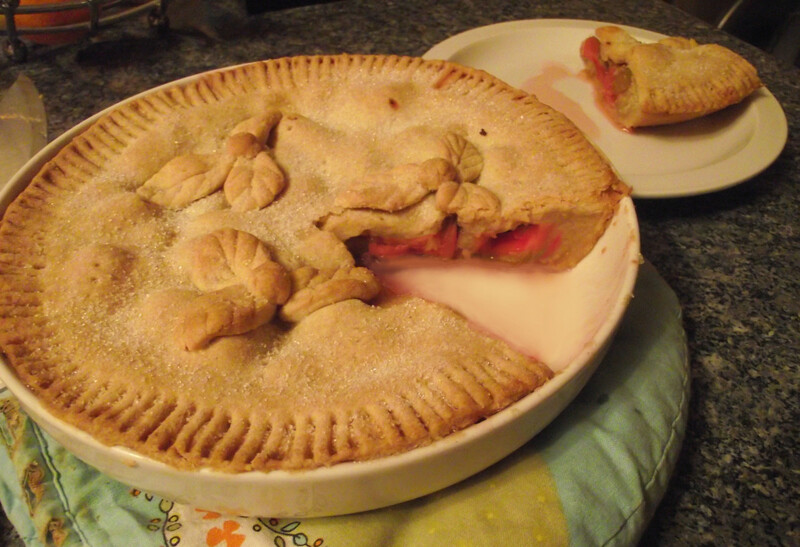 The first two pies were eaten so fast, mostly by someone who ate them after I went to bed or before I woke up, that I wasn't able to get a picture of the individual piece for my recipe. I hardly got any of them myself. So yesterday when I woke to only one bite left, I decided to make another batch. 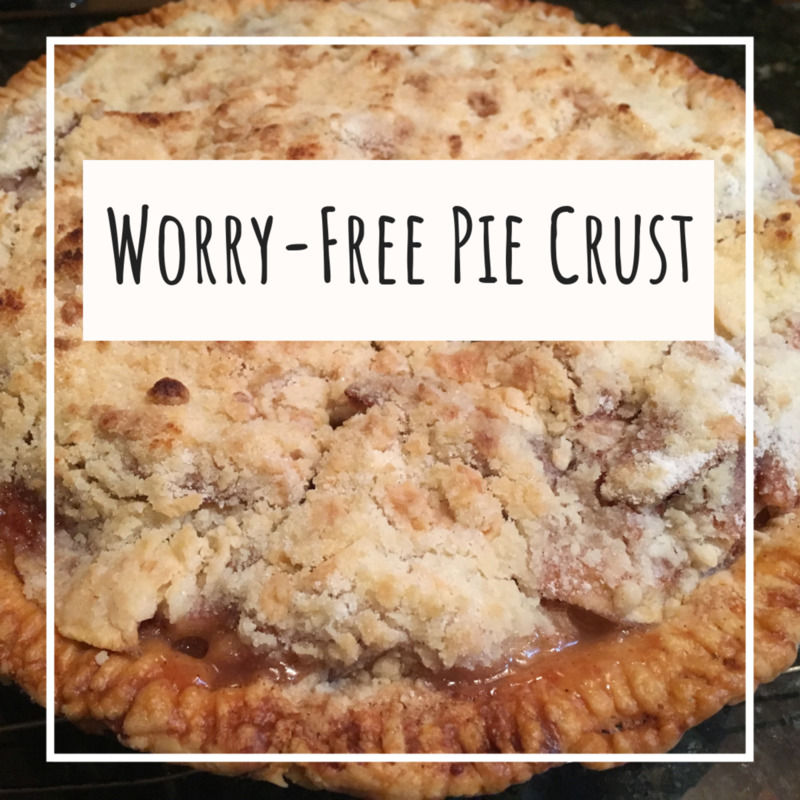 This time I used my flaky whole wheat flour pie crusts. They took a bit more time, and a lot more work, but it was well worth it. The final product turned out beautiful and I got a great picture of the pie slice for my recipe. You're going to love both of these pie crust recipes. This makes 2-3 pie crusts. Grease your pie pans with some coconut oil. 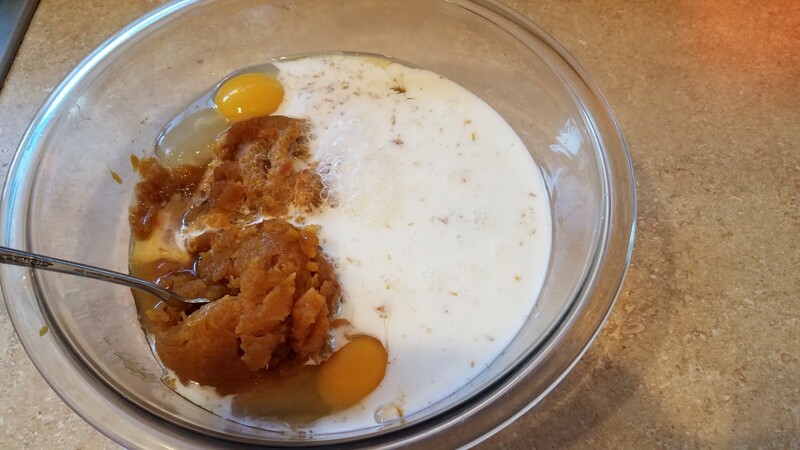 Mix your flour and salt and then cut in your coconut oil, by pressing it through the flour mixture with a fork until crumbly. 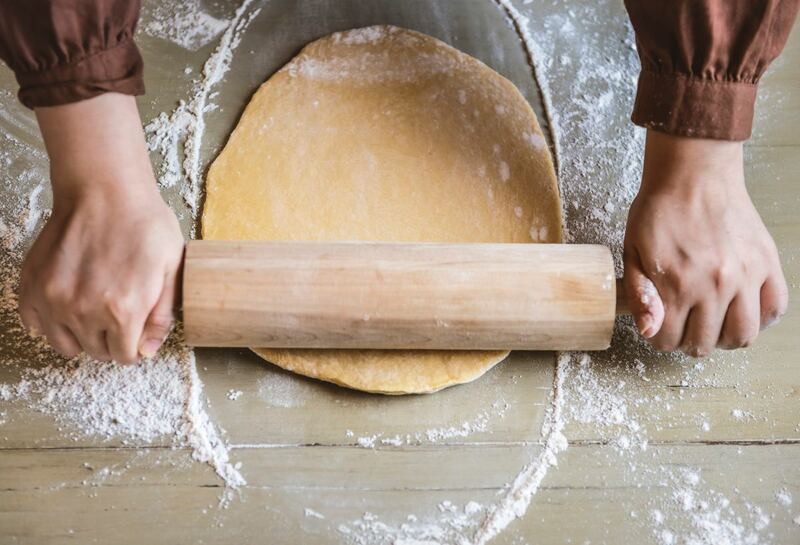 Separate your dough into three pieces. Roll each one out individually into a bigger shape than your pie pan. Lay each over its pie pan by folding each in half before trying to transfer it. Press them into your pie pans cutting any excess hanging over the edge. Pour your pie filling in and bake according to the pie directions. Place each in a storage bag in the freezer until needed. I don't think it's possible to have too much pumpkin pie. This classic dish is so simple and yet so delicious. Funny, but I don't mind my kids having this for breakfast, lunch, or dinner. It's packed full of yummy, super healthy ingredients, with none of the bad ones, seeing as how I make all of my own ingredients or buy organic. At the very best, they are getting whole milk, eggs, whole wheat and pumpkin, and at the worst, they are getting lots of whole milk, eggs, whole wheat and pumpkin. You just can't go wrong. 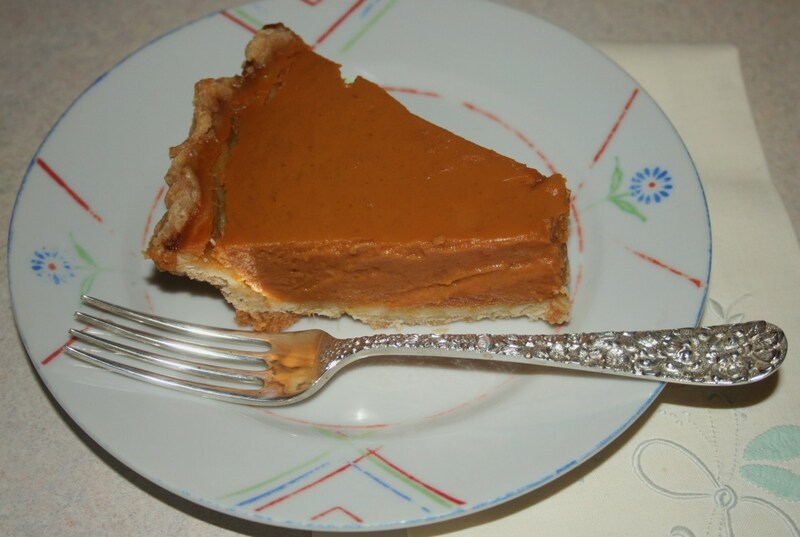 Pumpkin pie is basically a staple in the United States all throughout the fall season. You can buy it at the grocery store and order it at every restaurant. 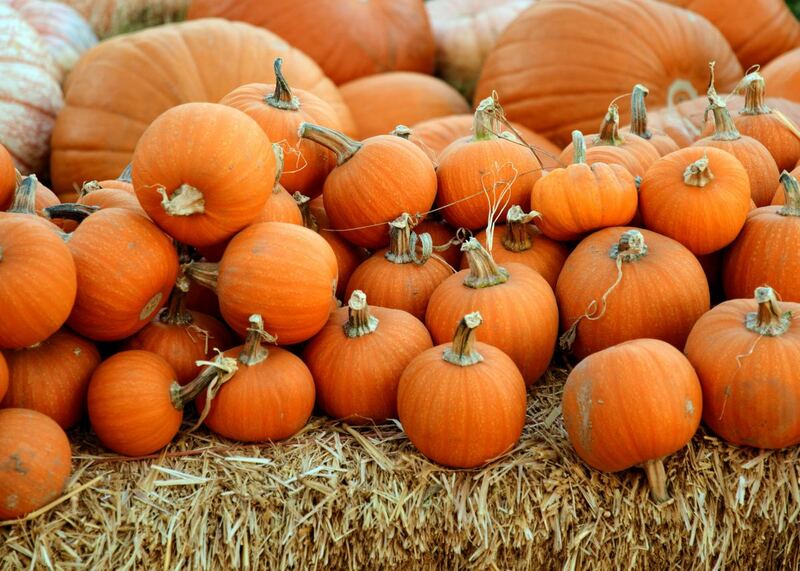 Nothing really says fall quite like pumpkin flavored dishes. 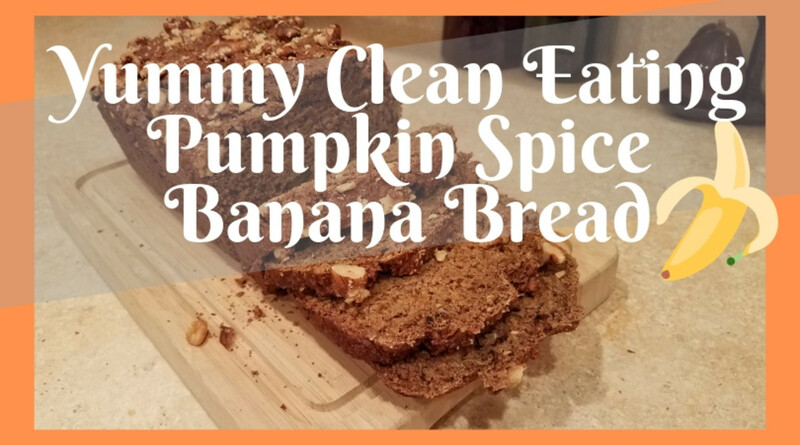 Not only does this make a delicious fall or Halloween treat, but now you've got the perfect recipe to make for your Thanksgiving celebration! 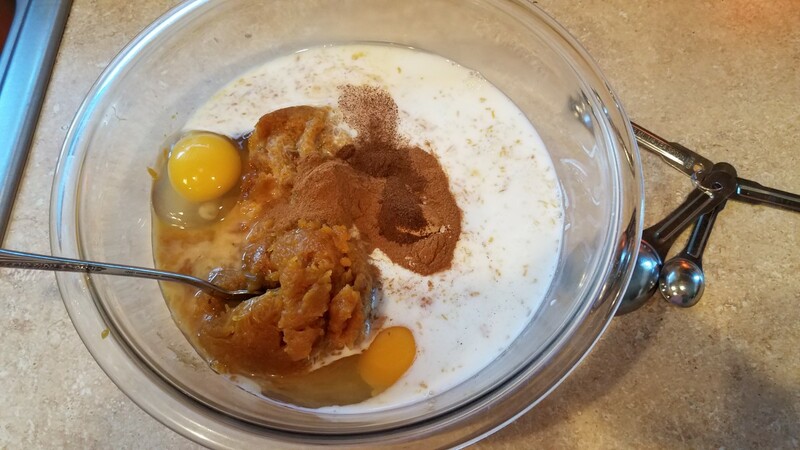 If you liked this recipe, you should give some of my other pumpkin recipes a shot, like my Pumpkin Oatmeal Pancakes or my Pumpkin Spice Granola. I just have to try this recipe. It sounds amazing. 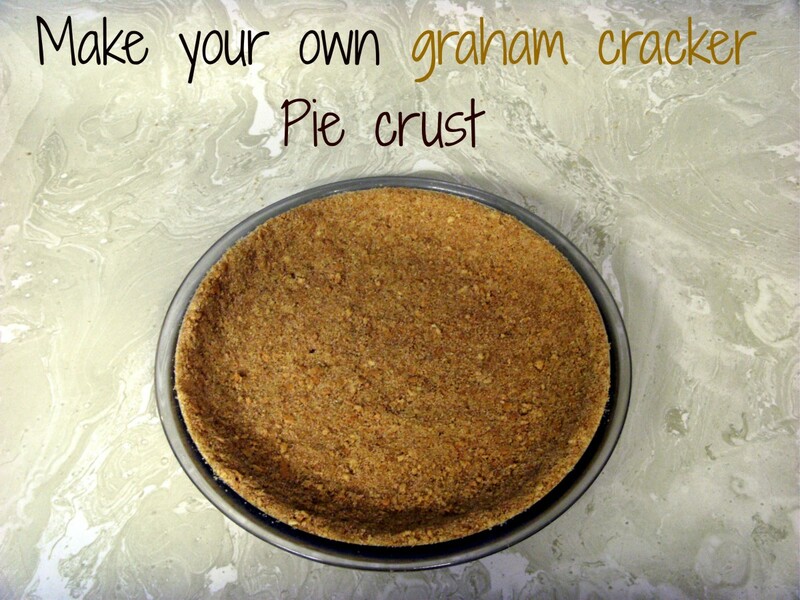 I definitely will try it with the almond pie crust for Thanksgiving this year.